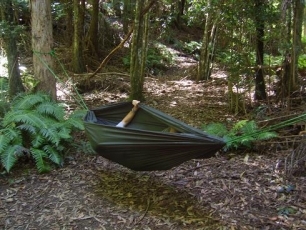 DD Camping Hammocks come with 2 zippers both on one zip, for easy entry/exit and strong webbing attached. 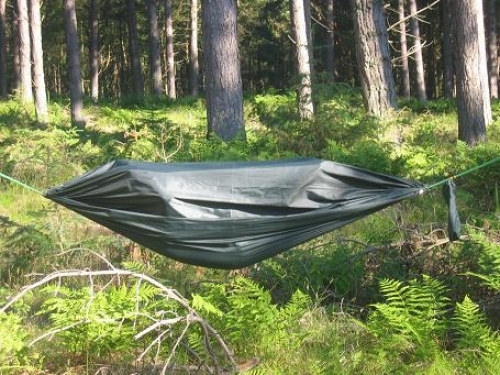 Its features include a two layer design which allows cocoon-like sleeping. Alternatively, you can lie out in the open (on top of both layers) with the option to put a roll mat between the layers as insulation. Sets up/packs up in under a minute and packs away into stuff sack provided (size when packed approx 30cm x 10cm).